This course is designed to increase your confidence and skills while introducing you to new experiences and more ways to have fun while scuba diving; all while under the supervision of your PADI Instructor. You learned to dive in your Open Water Diver course and now you are taking the next step by adding basic tasks. You will complete five core dives includingUnderwater Navigation, Deep Diver, Search and Recovery, Night Dive and Wreck Diving. The Knowledge and skills you develop during the course vary with the dives, but include information on deep diving, using a compass, navigating using kick cycles and how to better use your dive computer. The Advanced Open Water Diver: eLearning Course can get you started, right now, with the background information you need for seven of the most popular Adventure Dives (though you and your instructor can still choose any of the Adventure Dives). Classroom material is basic physics, physiology, envirenment, dive tables, dive planning, diver safety, homework tests and final. the pool followed by lecture basic maritime pool. Upon success full comletion of classroom and pool. The student is eligible to take their 4 open water dives over two days at the local beach. 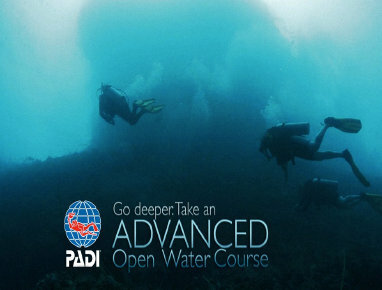 Upon successful completion the studient will received, a PADI International certifiecation card. *-PADI Open Water Certification card or another Open Water Card from another organization. *-Minimum Age for this course is 12 Years old. 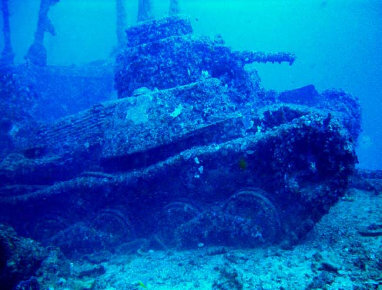 Price: $350 This includes 5 Core dives. Please note this does not include Boat fee.